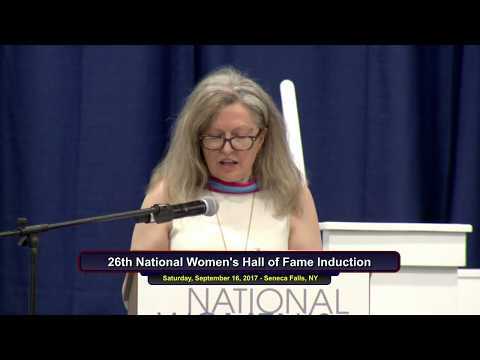 Seneca Falls, NY – September 16, 2017 – Victoria Jackson is now an inductee into the National Women’s Hall of Fame. As Co-Founder of The Guthy-Jackson Charitable Foundation, this honor comes in recognition of her distinguished achievements as an entrepreneur, innovator, author, and philanthropist. The National Women’s Hall of Fame induction ceremony takes place every two years to recognize American women whose lives and groundbreaking work add chapter upon chapter across the centuries of women making history. In celebration of the 100th year anniversary of Women’s Right to Vote in NY, The National Women’s Hall of Fame will host a weekend celebrating the achievements of American Women in the birthplace of the Women’s Rights movement in the U.S. The highlight of the weekend is the induction of 10 women for their historic achievement into the Hall of Fame. “We are pleased to add 10 American women to the ranks of inductees whose leadership and achievements have changed the course of American history,” said Dr. Betty M. Bayer, the Hall’s Co-President and professor of Women’s Studies at Hobart and William Smith Colleges. 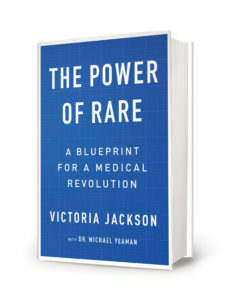 The Power of Rare: A Blueprint for a Medical Revolution. Victoria Jackson revolutionized the beauty industry in the 1980s and 90s with her “no make-up” approach to make-up and ultimately made Victoria Jackson Cosmetics into a billion-dollar global brand. But her greatest test of the power of rare didn’t come until her daughter, Ali, was diagnosed with neuromyelitis optica, or NMO—a rare, life-threatening autoimmune disease. Driven by a mother’s love, Victoria, set out to find a cure for her daughter. Within days of hearing Ali’s diagnosis in 2008, Victoria began The Guthy-Jackson Charitable Foundation to fund medical research into this often-misdiagnosed orphan disease. This revolutionary “blueprint” calls for breaking down the so-called silos of traditional medical research and bringing together some of the greatest minds to collaborate and share their findings. She hadn’t expected to galvanize how medical research works, but within only a few years, she did just that. By focusing on the “rare” in each of us, the foundation has catalyzed breakthroughs in NMO in record time. These advances are also opening new doors to solving MS, lupus, and other autoimmune diseases — plus diseases that are not so rare—including cancer, infection, aging and more. It has been Victoria’s guiding philosophy that if she can do it, anyone can. With her new book THE POWER OF RARE: A Blueprint for a Medical Revolution (September 26, 2017; villabella press; hardcover; $25.95), she shares how the foundation created a revolutionary model to speed discoveries that help empower patients and save lives. Through her business savvy, wit and heart, she offers real-world advice and inspiration for others to tap into “rare” to empower their own breakthroughs. This inspiring true story tells how one woman’s refusal to accept her daughter’s diagnosis of the rare disease NMO led to harnessing the “Power of Rare” and the creation of a blueprint for a global cure movement to solve 21st-century diseases—a user’s manual of lessons that anyone can put to work. Pre-order your copy today, and be sure to link your AmazonSmile account to Guthy-Jackson. 100% of all donations go directly to NMO research.